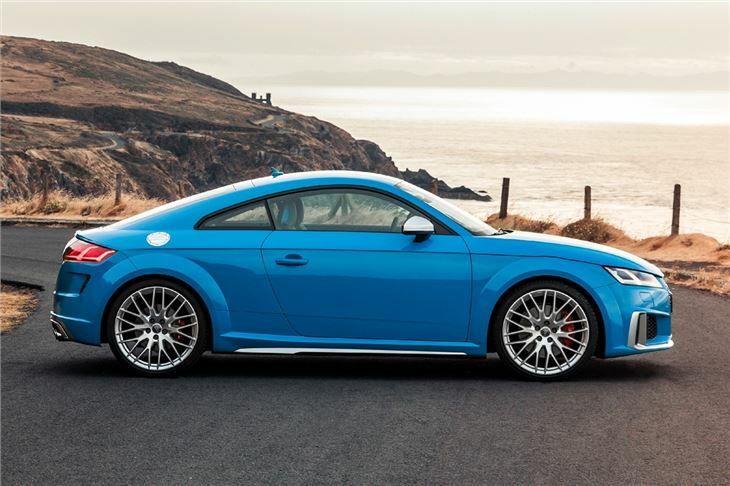 Let’s chuck it out there: the original Audi TT is one of the best car designs of the last 20 years. We say ‘last 20 years’, it was actually revealed in concept form at the 1995 Frankfurt Motor Show, but didn’t go on sale (with very few cosmetic changes) until 1998. 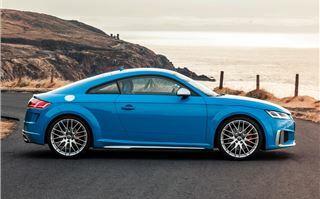 Since then, the Audi TT has always been a desirable coupe (and roadster) with a massive worldwide following. Now in its third generation, the latest model has been on sale since 2014 and, while arguably not as timeless in its appearance as the original, it’s still looking pretty fresh four years on. But convention means it’s time for a mid-life refresh. Audi’s being typically reserved with its cosmetic updates: a new radiator grille, larger side air intakes, new wheel and colour options and, erm, that’s about it. 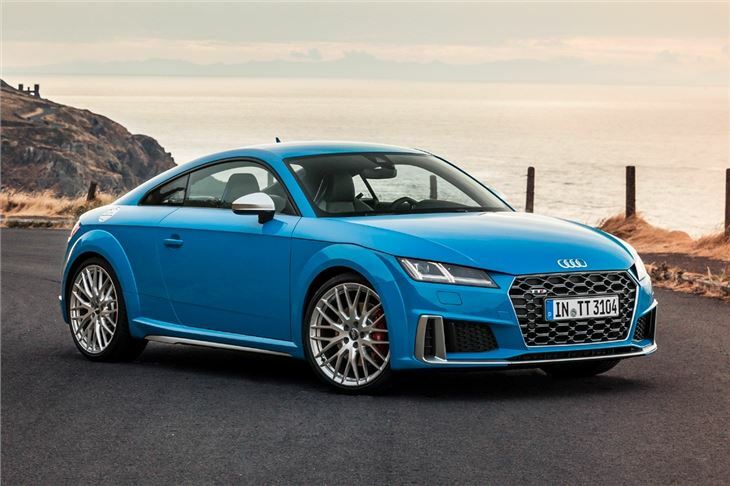 The old 1.8-litre 180PS petrol engine has been replaced by a 2.0-litre in the entry-level TT, while the 230PS version has had power boosted to 245PS. 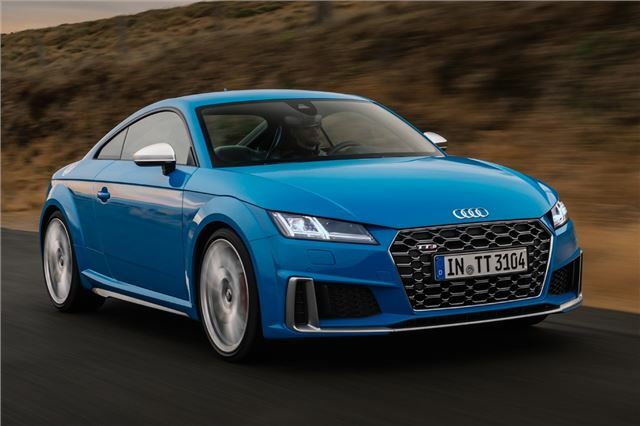 For now, the TT S is topping the range (an updated TT RS will follow) and, while power has dropped to 306PS (from 310PS) thanks to a new petrol particulate filter, an increase in torque means it can hit 62mph in 4.5 seconds - a tenth quicker than before. To demonstrate just how quick the revised TT S is, we visited the Isle of Man, where the local tourist board had kindly closed off a section of the famous TT mountain course for us (TT on the TT, get it?). The national speed limit for rural roads on the Isle of Man is whatever you can reach without it being deemed careless or dangerous, although local police chiefs asked us nicely if we wouldn’t mind keeping below 90mph. On the twisty mountain roads of the Isle of Man with their unforgiving corners, abrupt drop-offs and bumpy road surface, we were only too happy to comply. Even so, one thing’s very clear: the TT S feels fast. A new seven-speed DSG gearbox does little to hamper acceleration, with ultra-quick changes and the ability to be operated via paddles should you wish, plus Audi’s Quattro four-wheel-drive system means there’s plenty of traction on offer. While the engine sounds better than before, it’s still not as satisfying as the six-cylinder engine used in the BMW M240i, while we suspect the Porsche 718 Cayman might be more fun along roads like this. 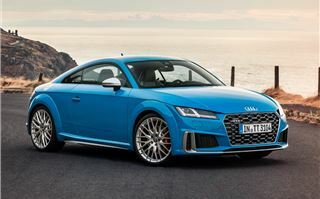 The revised TT S is good to drive, but it errs on the side of unflappability rather than outright enjoyment, doing little to change the TT’s habit of a lifetime. Steering feel is satisfactory (if little more), weighting up artificially if you select dynamic mode. Whichever drive mode you select (efficiency, comfort, auto and individual are also available), our TT S test car with its 20-inch alloys was eager to transfer every lump and bump into the cabin. We don’t mean to be on a downer about the TT S. It’s very good and on a closed-off Manx mountain road, it really flatters the driver. Chuck it into a bend and it follows obediently, while the 2.0-litre engine is always ready to accelerate hard between corners. But if you’re looking for the last word in driving dynamics, there are other cars that cater for you better. However, despite few changes inside, the TT’s cabin is really lovely. Audi’s Virtual Cockpit - a digital display which replaces conventional dials and is standard on the TT - now features a new sport display providing information such as engine output, torque and g-force data. It’s a bit gimmicky but no one’s going to make you use it. The rest of the interior feels extremely plush, with top quality materials and a feel of no expense spared. It’s compact, of course, but even taller passengers will find it fairly easy to get comfortable in the front. We quite like the snug feel of the TT, although the rear seats are next-to-useless for anyone other than young children. Fortunately, they fold entirely flat (the seats, not your young children), providing a surprisingly large boot. No, that’s not why you buy a TT, but it’s fine for a weekend away for two people. The verdict? It’s business as usual for the TT S. That means it's quick and flattering to drive, although a bit numb when you start to reach the limits of it capabilities. But there are other cars that tick that box. 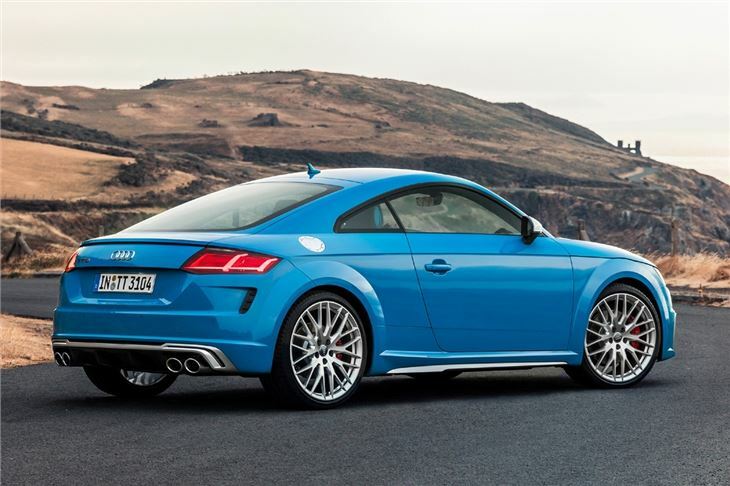 If you want a two-seater (and that’s all it is in reality) with eye-catching good looks and a plush interior, the TT continues to be brilliant. 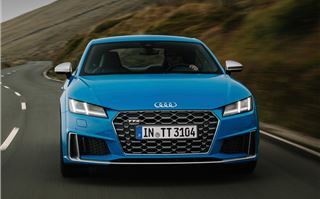 Orders for the 2018 Audi TT S open in Autumn 2018 with deliveries from the end of 2018.